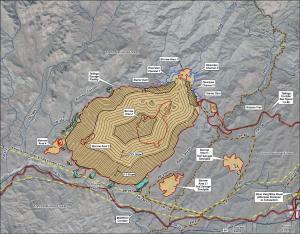 Rio Tinto Proposed Tailings LocationThe Arizona Mining Reform Coalition filed comments today to the US Forest Service (Tonto National Forest) on Rio Tinto's invasive testing plan for their proposed tailings location near Oak Flat. According to Rio Tinto's current plans, this is the only location they are actively considering for dumping a Picket Post sized mountain of toxic tailings should they be allowed to mine under Oak Flat. The comments were filed on behalf of the San Carlos Apache Tribe, the Access Fund, the Center for Biological Diversity, Concerned Citizens and Retired Miners Coalition, Concerned Climbers of Arizona, Earthworks, Environment Arizona, the Maricopa Audubon Society, Native Youth Unite, Save the Scenic Santa Ritas, Sierra Club -- Grand Canyon Chapter, Spirit of the Mountain Runners, Tucson Audubon Society, John Krieg and Roger Featherstone. Here is a copy of the comments. Among the hundreds of comments were those submitted by the San Carlos Apache Tribe, the Fort McDowell Yavapai Nation, and the Inter Tribal Council of Arizona. For nearly ten years, Rio Tinto has avoided divulging any real details of its proposed huge underground block cave mine under Oak Flat. Instead, Rio Tinto has spent their time trying to convince the US Congress to pass special interest legislation that would privatize Oak Flat and avoid most of the federal process for permitting mine on public land. Last November, in an effort to revive their floundering 12 version of the Oak Flat land exchange bill, Rio Tinto bowed to pressure from both sides, and released a mining plan. Rio Tinto's PR since the release of the plan has been "we gave you the plan, now give us the land exchange." Rio Tinto plans to submit a mining plan of operations to the US Forest Service early next week regarding their dream of building a mine at Oak Flat. Curiously, Rio Tinto has stated that the plan will not be available to the public until next year! 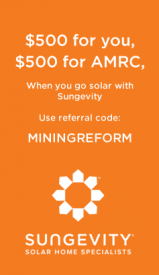 Rio Tinto has gone to great lengths to avoid filing a plan since 2004, opting instead to cajole the US Congress to pass a bill giving them Oak Flat without detailing how destructive a mine at Oak Flat would be to sacred, ecologically critical, and recreationally important lands. The submitting of the plan is timed to jump start HR 687 in the US House of Representatives, which was stalled in October when the bill was poised for a vote on the House floor but was pulled by the House leadership. 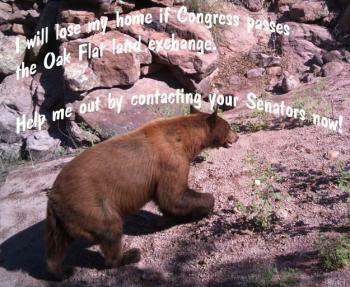 The bill’s sponsors in the House were worried that the Lujan amendment (which forbids the Secretary of Agriculture from giving any sacred lands at Oak Flat to Rio Tinto) would pass, effectively scuttling the land exchange itself. The US Senate has scheduled a hearing on the Senate version of the bill, S 339 for November 20. 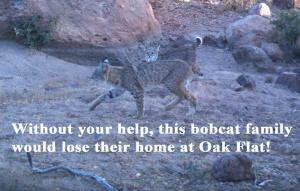 Please attend a public scoping meeting on Rio Tinto’s proposed plan to destroy Oak Flat. 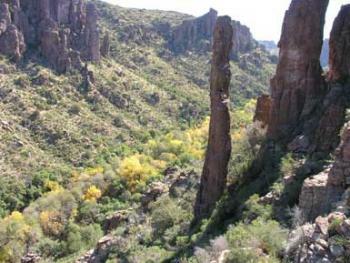 The Tonto National Forest will be holding a public scoping meeting on June 9, 2016, in San Tan. This additional public scoping meeting will be held at the Central Arizona College San Tan Campus, located at 3736 E. Bella Vista Rd, San Tan Valley, Arizona 85143. The meeting will run from 5:00 p.m. to 8:00 p.m., with the presentation beginning at 5:30 p.m. 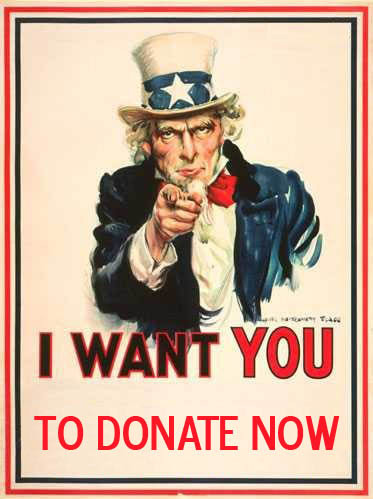 Please donate to contnune our important work! 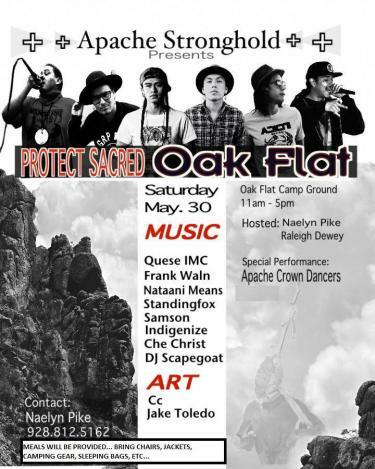 The Apache Stronghold will be hosting a concert, and spiritual and educational events this weekend at Oak Flat. A concert featuring traditional Apache songs and Native American musicians will begin at 11:00 am on Saturday May 30 at Oak Flat. Entertainment will continue all afternoon and culminate with Apache Mountain Spirit Dancers (around 5:00). Sunday’s events will begin at 8:00 am with a traditional Apache Holy Ground ceremony. Holy Ground will be followed by concurrent educational and action events including an art project, an eco tour, a spiritual tour, and an Apache community meeting. All events are free and open to the public. Everyone is encouraged to attend. Meals will be provided, but bring warm clothes (for the evening), sun protection (during the day), and a chair. Bring camping equipment if you plan to camp overnight. 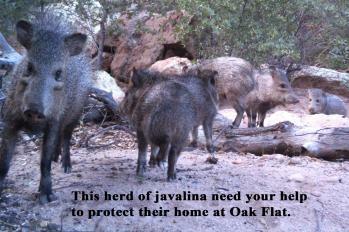 Oak Flat Campground is located south of US Highway 60 4 miles east of Superior, AZ. 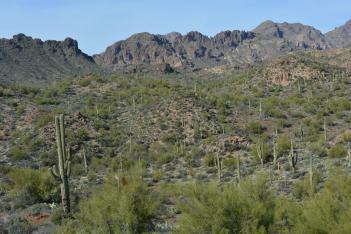 You will see a Highway sign for the campground coming from either direction on Highway 60. Follow signs into the campground. 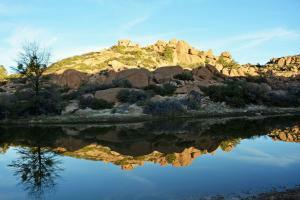 The land near the Oak Flat Campground is a sacred site to the indigenous tribes in the area, including the Apache. The new law allows Rio Tinto a run-around to avoid complying with indigenous rights to the land. Activists have been working for many years on the issue and actions are being planned this winter throughout the region to raise awareness and stop the destruction of this wild and sacred space.